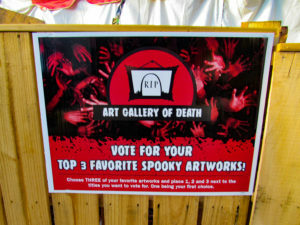 TAC was asked by BUZZ magazine to recruit local artists and supply artwork for “TAC’s Art Gallery of Death” at the Haunted Brewery event held at the Anheuser Busch facility in Jacksonville, FL. It was fantastic! 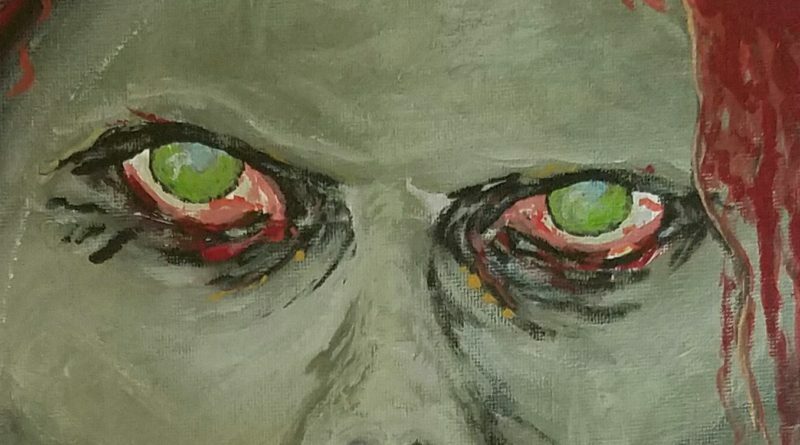 As an artist is was so much fun coming up with pieces from the dark side. And attending the event was a lot of fun and not as gory as I was expecting (thankfully). They had many different areas in addition to the Art Gallery of Death. The Brewery tour was a mix between Zombie Apocalypse and Laser Tag. Fast paced and scary, but we managed not to get eatin. TAC’s Art Gallery of Death was a spooky exhibit of art by 30 different artists, many of them TAC members, so of course it had great artwork.